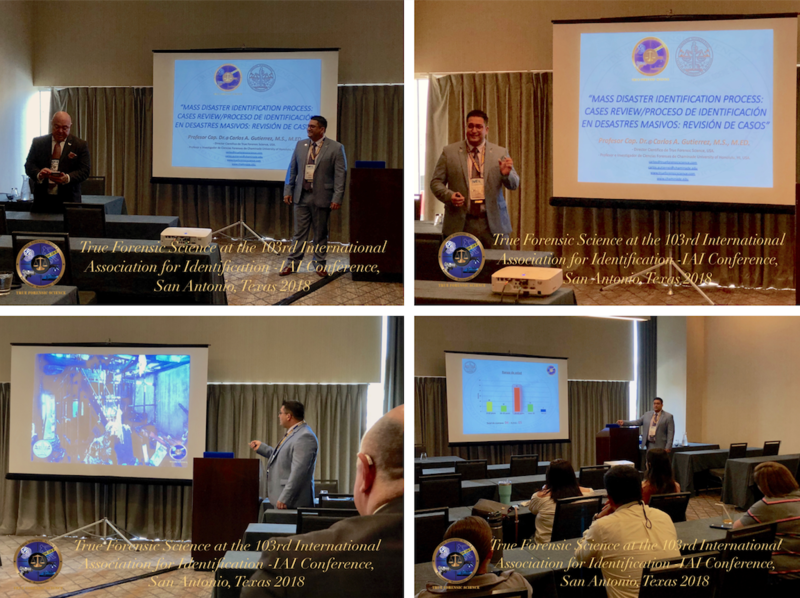 Between July 29th & August 4th the Texas division of the International Association for Identification – IAI held the 103rd International Educational Conference – IAI in San Antonio, Texas. 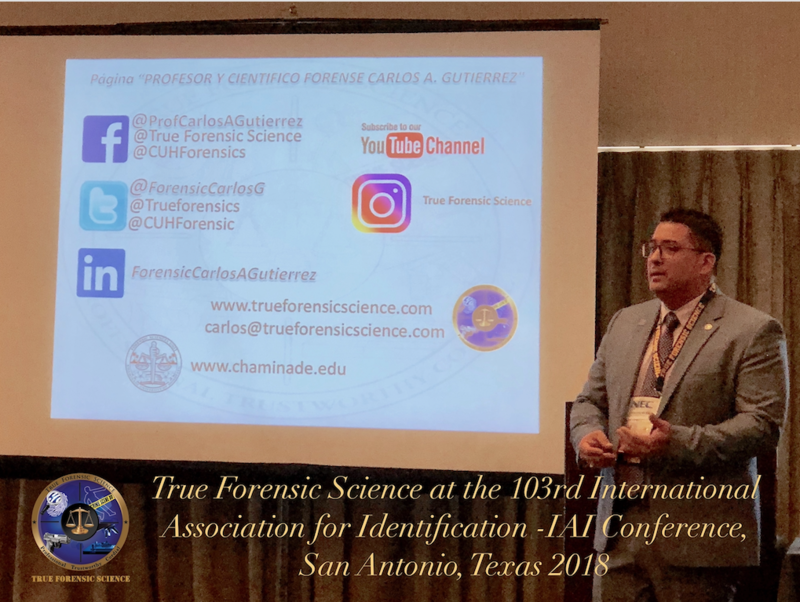 The division’s Chairperson, Domingo Villarreal, who was recently named to the International Association for Identification – IAI 4th Vice-President, was in charge of an innovative proposal for this year’s Conference, Conferences-in-Spanish Day, where True Forensic Science’s Science Director, Prof. Carlos A. Gutierrez, have had the honor to be part of as speaker. 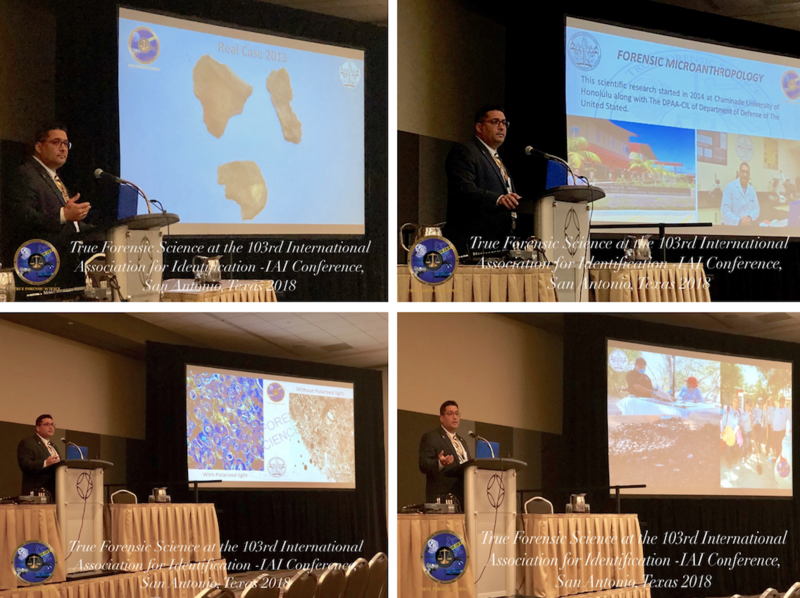 During this important event, Prof. Gutierrez, not only offered the seminar “Proceso de Identificación en Desastres Masivos: Revisión de Casos” in Spanish, but also other two seminars in English, “Forensic Microanthropology: A New Field of Forensic Science” and “Mass Disaster Identification Process: Cases Review”. 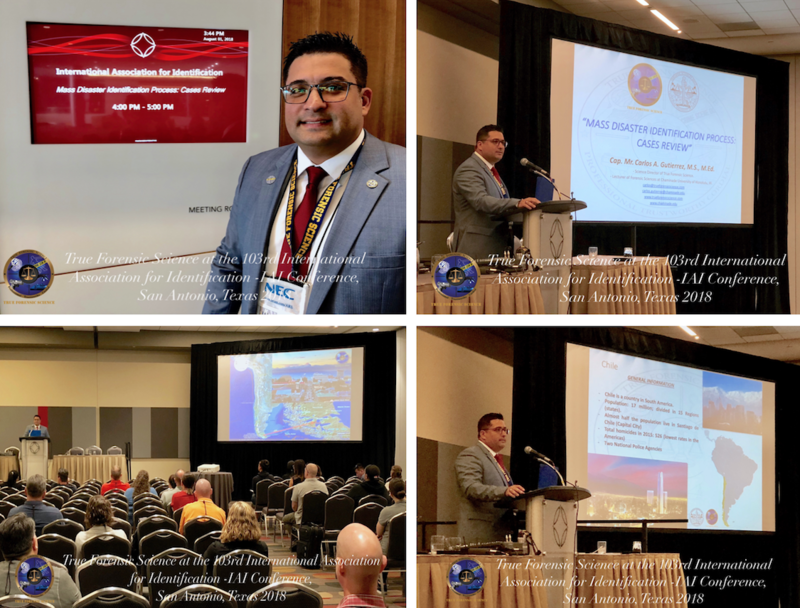 More than 150 people attended Prof. Gutierrez’s seminars throughout the 6-days-conference held at the Henry B. Gonzalez Convention Center. 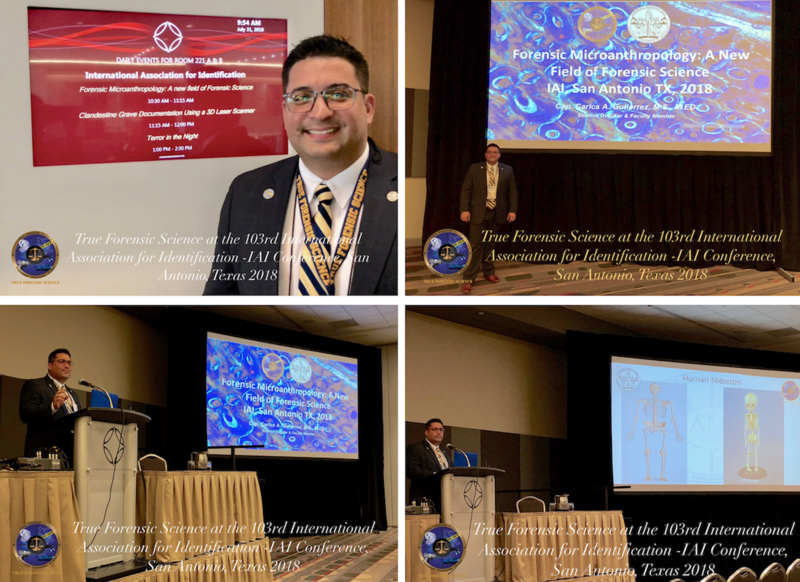 Those who attended the “Forensic Microanthropology: A New Field of Forensic Science” seminar had the privilege to learn for the first time in the United States about this interesting new area of Forensic Science, which was presented to the forensic science community two years earlier with the publication of Prof. Gutierrez’s book “Manual de Introducción a la Microantropología Forense: Técnica de Preparación y Análisis Comparativo de Fragmentos Óseos Humanos y No Humanos” (Manual of Introduction to Forensic Microanthropology: Technique of Preparation and Comparative Analysis of Human and Non-Human Bone Fragments). Due to a important history of missing people throughout Latin American history, which has created a higher demand for bone fragments identification at crime scenes, Prof. Gutierrez decided to publish his book first in Spanish and later this year, he is expecting to offer to the forensic science community an English version. 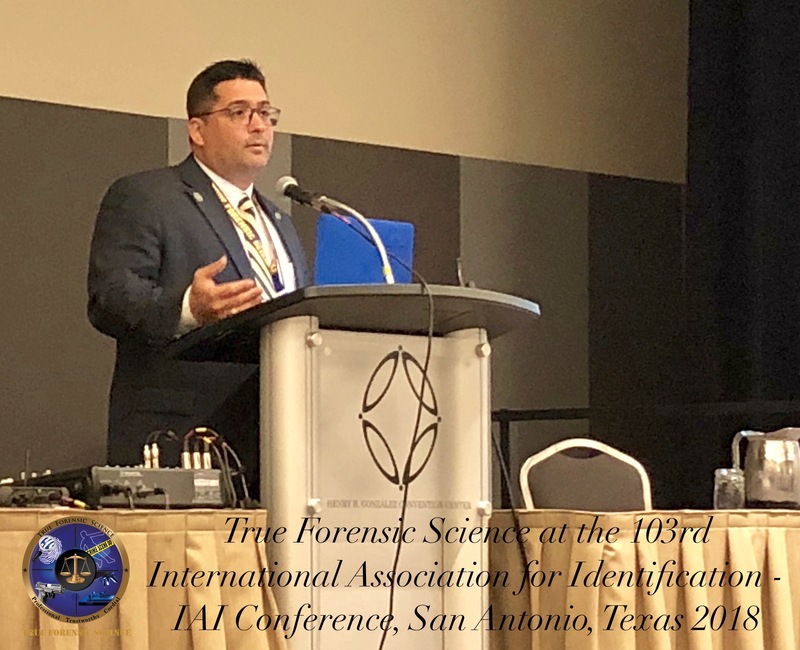 During the 60-minutes-Forensic Microanthropology-seminar, Prof. Gutierrez taught attendees that any forensic scientists, regardless their backgrounds, can be able to analyze under microscope small pieces of evidence found and determine whether they are bone or not. And, once it has been determined as bone, define whether it is human or non-human bone. Although, Forensic Microanthropology methodology requires a special training, it does not require high-specialty-degrees-backgrounds or expensive academic preparation. Additionally, Forensic Microanthropology training is inexpensive and takes just around one week. 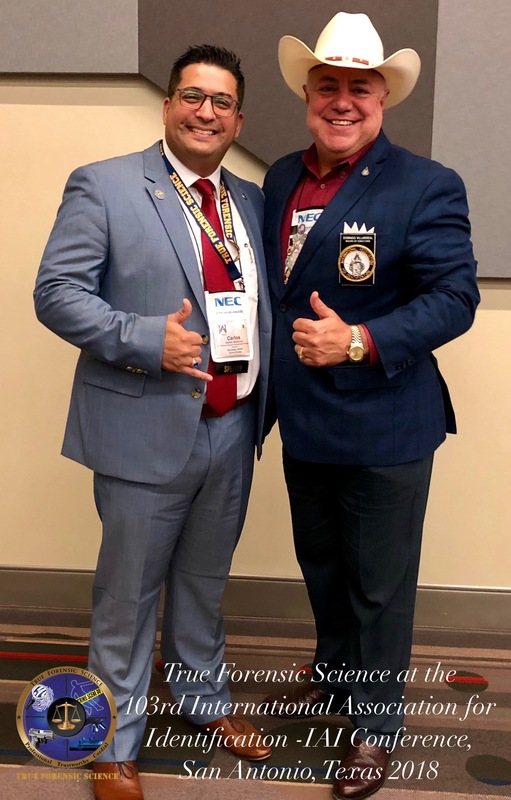 The seminar’s attendees also learned that by using this evidence processing method, many Forensic Labs can avoid subject all undetermined piece of evidence to the expensive and hard-to-get DNA analysis. Forensic Microanthropology analysis can provide an answer as fast as 24 hours and can cost as little as USD$30 per evidence; an overwhelming difference in comparison with Forensic Labs’ current option, DNA analysis, which results can be obtained between 3 & 8 months after, and cost in average USD$1,000 per evidence.